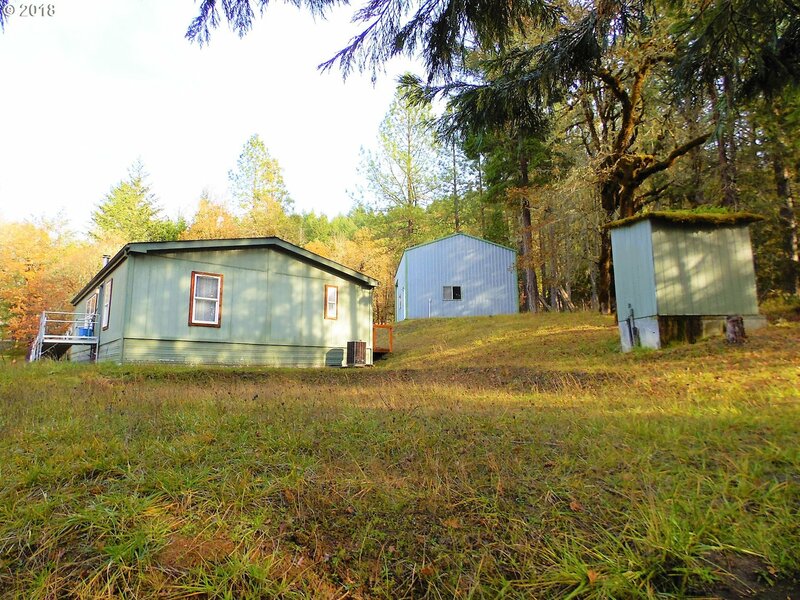 Live On The Edge Of the N. Umpua River in this 3-bed/2-bath 1232-SF manufactured home in Glide. Offers a magnificent living room with wood stove for winter nights, NEW carpeting, graceful dining room, master suite with makeup table, walk-in closet for lots of clothes, vanity, impressive kitchen with refrigerator, work island, electric range, dishwasher, pantry, all appliances included. Water Rights to River, big Shop, Paved Driveway.